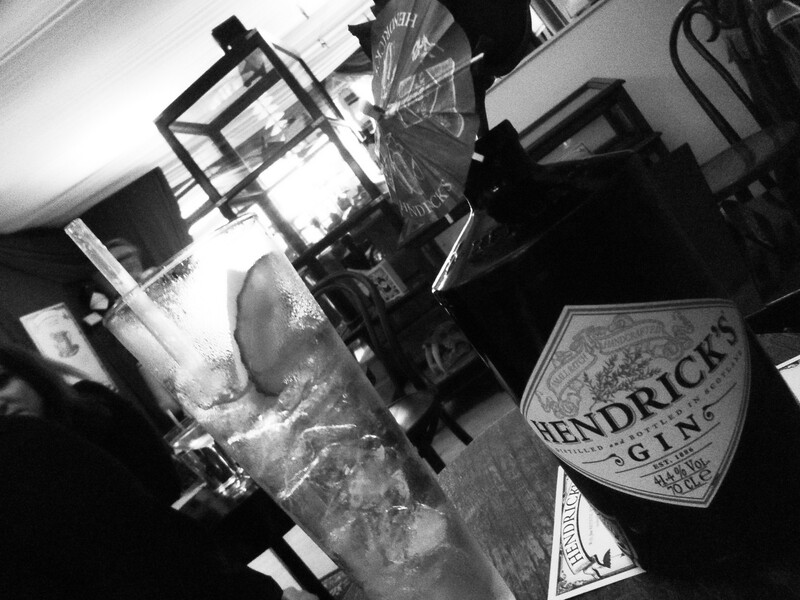 Hendrick’s. 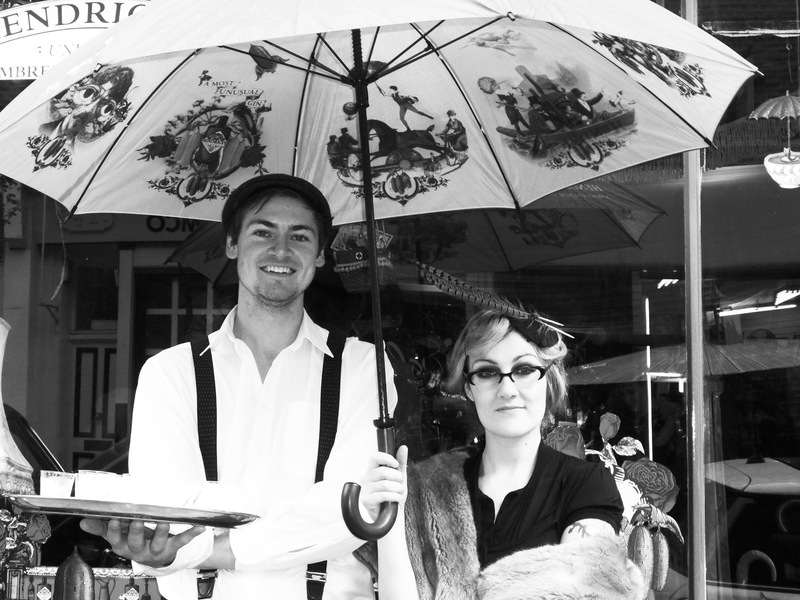 A gin that signifies the quirky, the pompus and the extraordinary – and they didn’t disappoint! Taking over a small premises near Covent Garden, they transformed the place into a Victorian haven full of extravagant ornaments, quaint wooden tables, a traditional stall serving Hendrick’s cocktails and even a Hendrick’s bath! 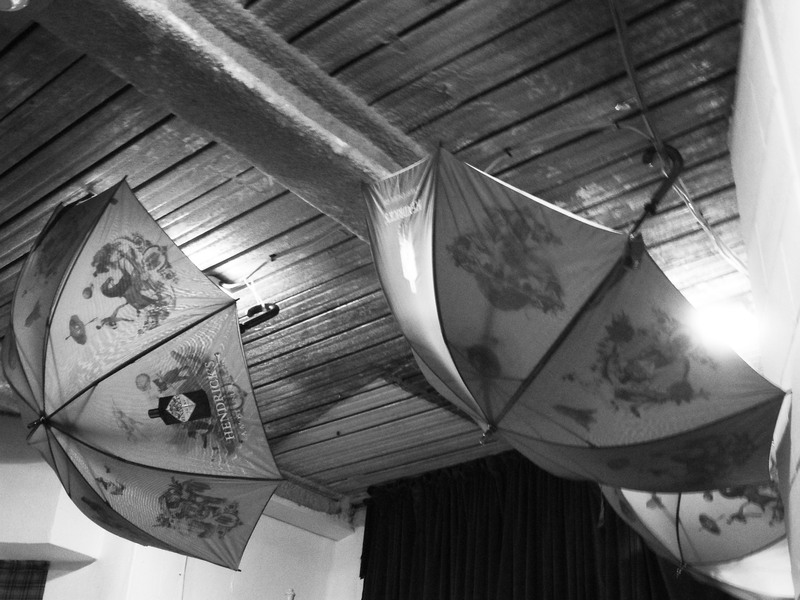 The tasting session i was to embark on though was situated down a flight of wooden stairs leading to a ‘theatre’, with wooden chairs and tables scattered around and Victorian styled umbrellas hanging from the ceiling. Duncan McRae (the Hendrick’s UK ambassador) was on hand to greet us all with a G & T as we sat to listen about the history of Hendrick’s. 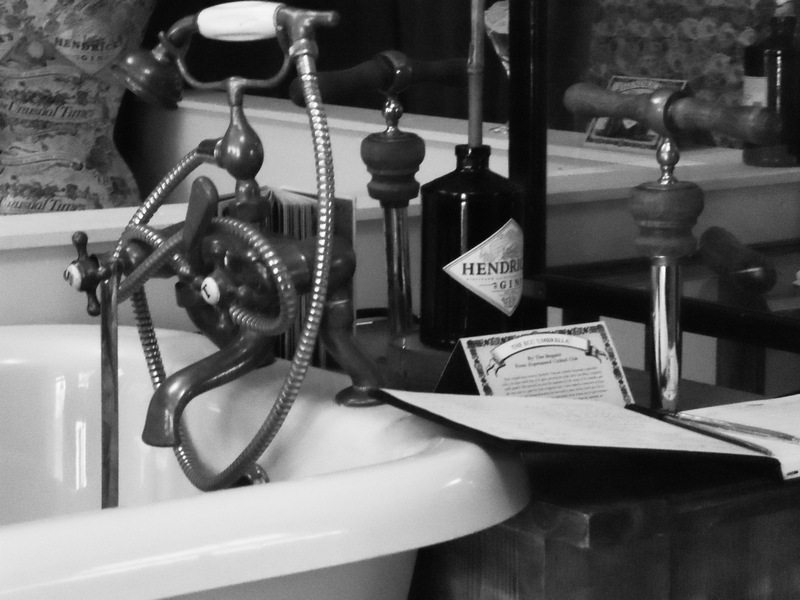 Launched in 1999, the history of Hendrick’s Gin actually goes way back to 1860 where the Bennet still was created in London, and the Carter-Head still in 1948 by John Dore & Co. Both these copper stills were bought by Charles Gordon (the great-grandson of William Grant) in 1966 at a London auction and after some restoration work, the first beginnings of Hendrick’s Gin were put in motion. The distillation process of Hendrick’s Gin combines the two spirits from both the Carter-Head and Bennet stills to create the finished Hendrick’s product. The Bennett still allows most of the flavour characteristics of the botanicals to pass into the spirit. The still is filled with neutral spirit and the botanicals are added to the liquid, along with water. This is left to steep for 24 hours and then heated. As the pot begins to boil, vapour moves up the short column of the still and makes its way to the condenser. There, the vapours are turned back to liquid and collected. The Carter-Head method of production differs, with only the neutral spirit and water added to the pot of this still. All the botanicals used with the Carter-Head are added to a flavour basket at the top of the still. Rather than boiling the botanicals, (which produces the strong spirit of the Bennett still) the Carter-Head bathes the botanicals in just the alcohol vapours. As these rise up through the still, they enter the base of the flavour basket. Inside the flavour basket, the botanicals are held in copper baskets, which hold them together while allowing the vapours to be fully exposed. 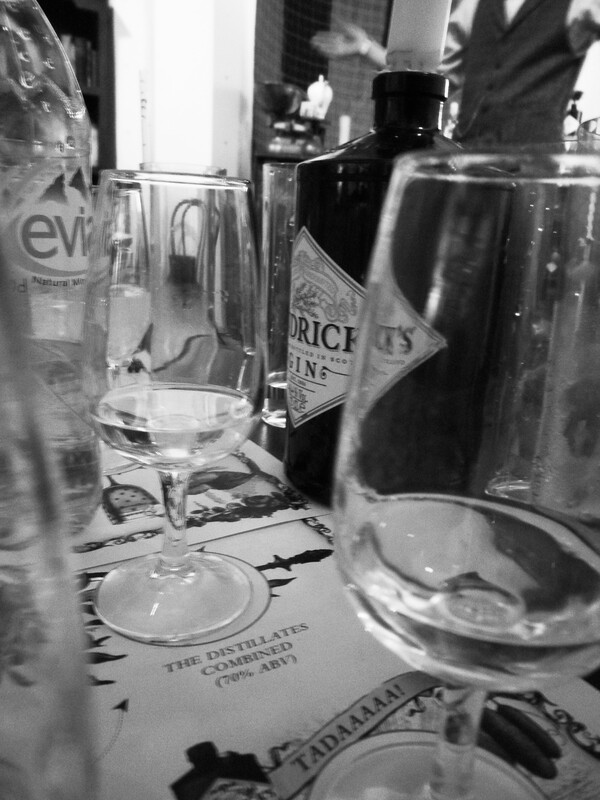 As the evaporated alcohol moves through the botanicals, it extracts flavours from them. These are then carried out of the basket along with the alcohol until they reach the condenser. Only the lighter, floral and more sweeter flavours are extracted by this method. The combining of the spirits from each still, with the addition of cucumber and rose-petal essence, creates the final product. Concentrated juniper on the nose, with spice, citrus and pepper mixed in. The palate intensified the aromas but a little water added created an earthy, chocolate flavour. It was noticeable to see oils forming from the botanicles too. Lighter on the nose and palate than the Bennet still with no main flavour hitting the senses. A mix of both Bennet and Carter-Head stills, a high and intense flavour with a strong juniper flavour. A very high concentration of both with strong flavours. A subtle scent on the nose yet the palate encounters a very strong, potent mix of juniper, cucumber and rose petals, with a kick just before it mellows for a long after-taste. Small mixes of cucumber, rose and juniper on the nose create a mouth-watering effect on the palate that enjoys a smooth and very well-balanced gin. Clean and crisp on the after-taste. I’ll be sourcing that one some time soon! 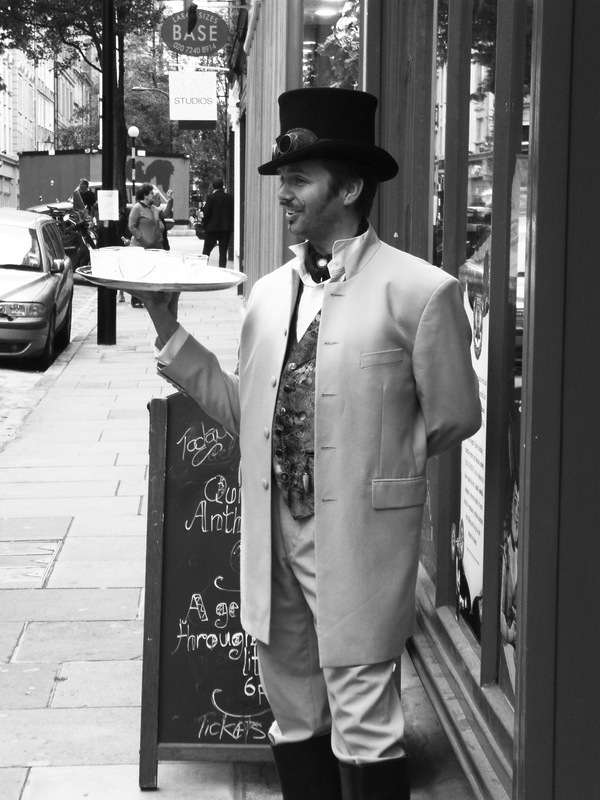 If you ever get the chance to sample Hendrick’s Gin, take it. You might be pleasantly surprised! I am very excited to have happened to chance upon this website and commentary. Hendricks is like none other and I say that in the most positive way. To have a glimpse into the mechanics that produce such a fine gin is a treat! Thank you so much for your research and for sharing you experience. format and settings to all the added HD files. your last 3rd strike. This indicates that Google is paying a lot more attention to videos than it used to. the children try both, but in a safe environment. The key is to find the balance and that is when having an “attitude of gratitude” plays a key role.